The Goal with the Boys & Girls Clubs - Alaska Basketball program is to provide its Members a safe, healthy, fun, and meaningful experience via regularly scheduled practices and games. The eight-week Regular Season will commence on January 14 and conclude March 8 for the U8 Division. The ten-week Regular Season will commence on January 14 and conclude March 30, 2019 for the U10-U12 Divisions. U8 practices will be held Tuesday evenings with games being held on Thursday evenings. U10-U12 practices will be held on Monday and Wednesday evenings with games being held on Friday evenings and/or Saturday mornings for the 2019 season. Games will commence the third week of the season. Please Note: Members are not restricted to rostering specifically on a team within their high school zone and preferences/special requests for the season may be approved with prior written notice to BGCA Athletics Staff. Additionally, players are required to provide a birth certificate to verify birthdate prior to the first game of the season. For more information on Basketball, one of the world's most popular and widely viewed sports, please visit HERE. We are always accepting applications for those wishing to volunteer coach. Experience is a plus, but not required. Simply click on the link below and complete the Athletics Volunteer Application online. For more information about coaching, please contact BGCA Athletics at athletics@bgcalaska.org. The Registration "BASKETBALL" is not currently available. Please Note: All Registration Fees must be paid in FULL by the start of the season; Otherwise, Members will NOT be allowed to participate until Fees have been paid in FULL. *Please Note: Schedule is subject to change based on facility availability. Boys & Girls Clubs - Alaska Staff will notify all Members of any changes to the schedule. If you have any additional questions, please feel free to contact the Boys & Girls Clubs - Alaska Athletics Department. The Refund Policy of Athletics Fees are nonrefundable with a few exceptions. For more information on the Boys & Girls Clubs - Alaska Athletics Refund Policy, please visit HERE. Local team sponsorships are a crucial part of any athletic program. Through Local Team Sponsorships, the Boys & Girls Clubs – Alaska Athletics Department is able to refurbish and replace equipment, provide uniforms, purchase the sports supplies needed for each sport and maintain the fields/facilities. Additionally, our coaches are able to take advantage of coaching education opportunities through coaching courses which, ultimately, benefit the athletics experience for all children. In return, your business will benefit through brand awareness, image enhancement, possible increased sales, and a return on investment that benefits the community as a whole. Currently, over 1,600 athletes, between the ages of 3 – 18 years old, participate in our Athletics programs, which include sports like Basketball, Volleyball, Indoor Soccer, Football, Soccer, and Flag Football. All Athletes registered to a Boys & Girls Clubs – Alaska Athletics program receive a uniform package (specific too the sport the Athlete is registered for) which will always includes a jersey. Currently, ConocoPhillips Alaska is the title Good Sport Sponsor for the Boys & Girls Clubs – Alaska, with their logo being featured on the front of all jerseys. Local Sponsors of BGCA Teams are also featured on a secondary location of the team jersey with prominent visibility of the Sponsor’s name/logo. 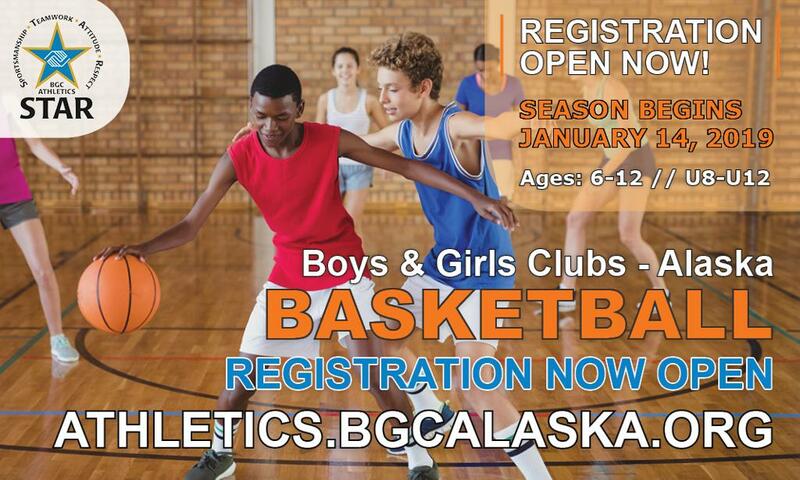 In addition to a Sponsor’s name/logo being featured on a BGCA Athletics Team’s jersey, the Boys & Girls Clubs – Alaska will also offer a variety of benefits to our Local Team Sponsors, depending on the Sponsorship Package.